Now waiting in line for the individual cheki event. So not buying a grey T-shirt!! As a completely unrelated bonus, a couple of translated fan reports from a recent Juice=Juice event. 3/16 J=J event. Since humans are said to have evolved from monkeys, Takagi said Katsuta Rina had asked her if she'd failed to evolve. 3/16 J=J event. Takeuchi Akari has Takagi's number saved as "Monkey", so Takagi in turn has Takeuchi saved as "Oden." 3/16 J=J event. Kanazawa: "Oda and me aren't very close yet." Takagi: "You're not even hitting her or anything." Kanazawa: "No. Not yet." Henkka: Seeing as most of my previous sources have started posting Twitter fan reports, I thought I’d give it a try as well. Let me know in the comments if you think I should keep doing posts like these, too (in addition to the 2ch stuff of course). Pretty impressive she’d know that! Good catch! I can’t pretend I remembered that particular moment of Eri greatness. Will update the post accordingly. Thanks! 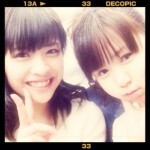 I think she spends time with Sayu who watches Eri videos on youtube like the rest of us Eri fans. Ya these are great. Nothing like seeing twitter reports right after an event. Posts like this are very much welcomed! That’s my Rinapuu buuuurn ! Seems Riho is another who has been totally won over by Ma-chan. Those reports from the J=J event are first hand? Anyway, interesting post. Not first hand, no, although I was actually considering going to that very event since the venue is relatively close to where I currently live. I don’t go to many handshake events since, like some fans, I really don’t have much I want to say to them. 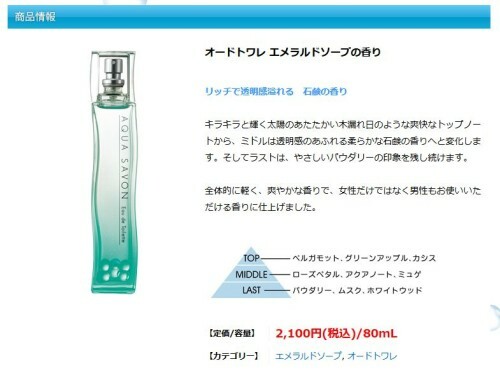 You can go for the free perfume spraying. Well, these reports did make me reconsider attending more. 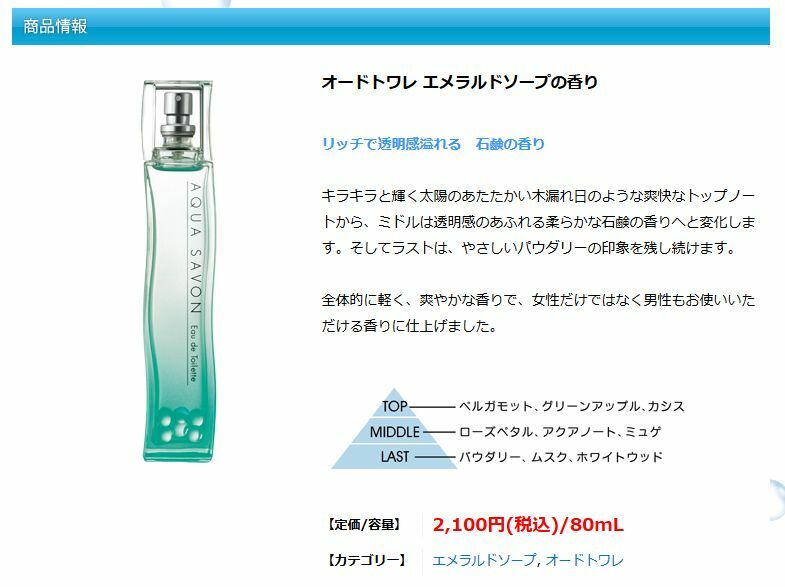 I mean, what real man with any sense of self-respect wouldn’t want to smell like 2,000 yen emerald soap perfume meant for teenage girls? Better buy me some tickets right away. Exactly. That’s like, fresh lolicon scent. Ah, I was just wondering due to the self-attribution on those tweets. Besides, that °C-ute event you wrote about once seemed like it had turned out well enough. Now I’ll know what Maachan smells like. Gotta go to the mall later and buy that soon-to-be-cocaine of mine. Hell yes!!!! Keep up the good work, dont matter if its twitter or message boards i love hearing stories about the member…. Henkka, do you have any translated threads on the newer kenshuusei? Particularly what wota think of the 20th gen? And Maa never fails to entertain. Somehow it feels like she was ment to be part of some Anime related, local idol group. Being so outgoing and with all that close wota contact. I’m happy she ended up in Mosume! I would love to see more twitter fan reports. Thank you for all that you do, Henkka. How can you call such a cute girl INSANE? …She’s CRAZY, not insane. …there’s a difference, I swear. I saw these reports earlier, reposted from Twitter on to Tumblr, and I must say that I’m super-meccha-excited that you posted them here, Henkka! And with additional content and commentary! Think of all the great times we could have, being sprayed with young girls’ perfume and getting arrested later that day for smelling like we just kidnapped a boatload of lolis! kidnapping is bad, man. carries a potential death sentence in my world. I love it! keep the good work!! IMO, it doesn’t matter if the translated stuff about the girls comes from 2ch or twitter, its all good anyway, so keep em coming! Thanks for doing this! It would be great if you could keep doing the twitter reports too, Henkka!